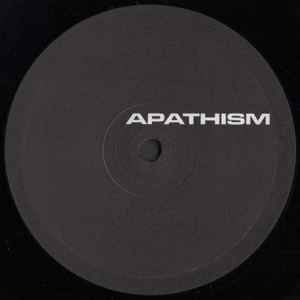 The Apathism twelves are in my opinion Heiko Laux's unequaled masterpiece, and they definately deserve more recognition. Somehow the best word I can think of to describe the sound is "monochrome". Noisy, dark, hypnotic, slowly and persistently evolving machine-like techno. Contrary to most similar works, Apathism succeeds in making machine-like music that is still extremely soulful and filled with emotions. These tracks almost got their own personalities, like robots developing human moods and characteristics but still lacking the depth and complexity of the human mind. "One" is angry and irascible, "Two" is stubborn, "Seven" is meticulous, "Nine" is vindictive and "Ten" is sad and lonely. Listening to this loud gives me the shivers every time. It's impossible to pick a favourite track on this EP as they are all so beautifully and carefully produced. Perfection.